Brussels - National Roma Contact Points from each of the economy participating at the Regional Cooperation Councils’s Roma Integration 2020 project, joined the third EU Roma Week – a series of events providing recommendations on combating anti-Gypsyism and continued structural discrimination - which are taking place from 8 to 12 April in Brussels. The EU Roma week has been co-organised by the European Commission, the European Parliament, the European Economic and Social Committee of the Council of Europe and City of Brussels. The EU Roma week is organised to commemorate the 47th anniversary of the first Romani Congress (London, 1971) and International Roma Day, 8 April. From 8 to 12 April, events are held on different thematic areas in order to achieve recognition of anti-Gypsyism, advocacy for specific topics and networking and knowlegde exchange, gathering numerous policy makers, experts, activities and organisations concerned with these topics. 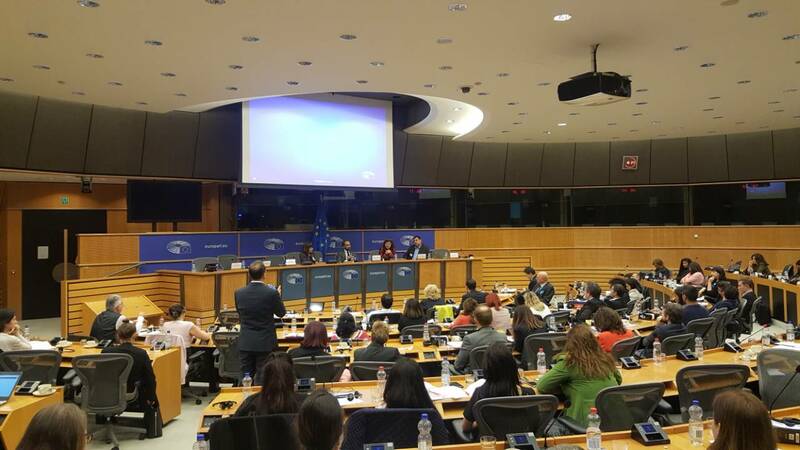 It builds upon the work done during previous Roma Weeks and the report the European Parliament adopted in October 2017 on „Fundamental rights aspects in Roma integration in the EU: fighting anti-Gypsyism“ which called upon the European Commission and EU Member States to put the fight against anti-Gypsyism at the forefront of efforts for the social and economic inclusion of Roma. The report was another step towards more efficient policies and programmes that can help to create real change by addressing anti-Gypsyism as a specific form of racism in its various and by fighting it at all levels of our societies. Participation of the National Roma Contact Points from the seven regional economies at this event is supported by the RCC’s Roma Integration 2020 project. Mila Carovska, Minister of Labour and Social Policy and National Roma Contact Point from the Former Yugoslav Republic of Macedonia took part today at one of the events organised within the Roma week - a panel „Unveiling the Data: the Situation of the Roma in the Western Balkans“.